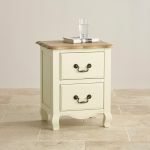 The Bella Brushed Oak and Painted 2 Drawer Bedside Cabinet demonstrates that when floor space is limited, you don't need to compromise on style. 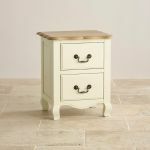 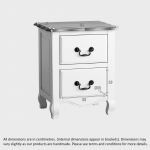 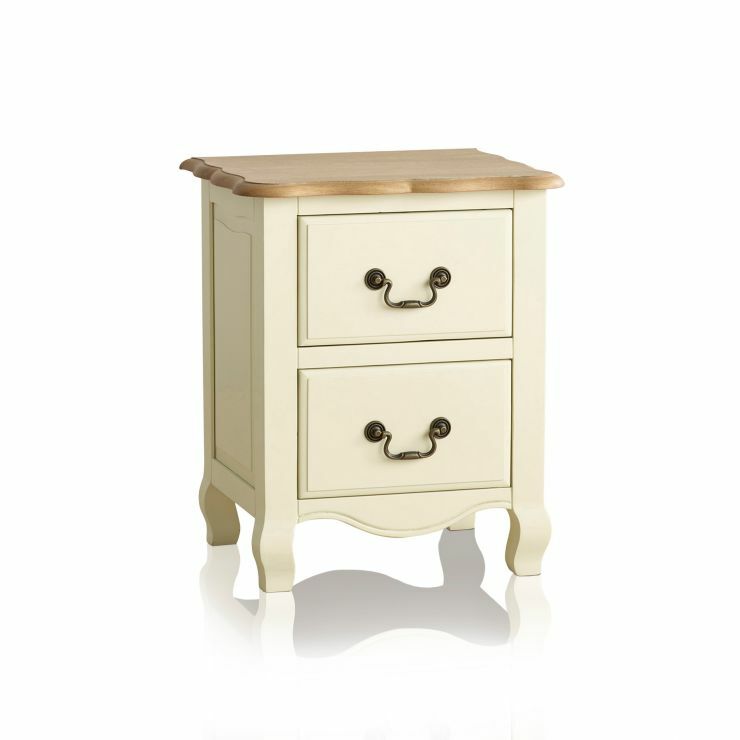 Featuring the characteristic carved feet and flowing lines, this delightful bedside cabinet offers two cream painted drawers with contrasting metal drop handles. 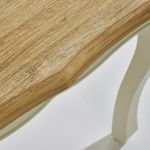 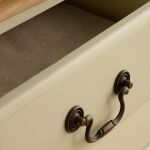 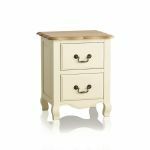 Typical to other items in this range, this fine cabinet possesses the striking combination of a traditional shade of cream paint and a brushed natural oak finish on top.